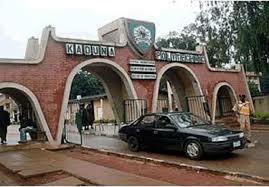 The Kaduna State Polytechnic, National Diploma [ND] and Higher National Diploma [HND] Weekend and Evening Programmes Admission Forms, Requirements, Admission Guidelines and Closing Date for 2017/2018 Academic Session. Applications are invited from suitably qualified prospective candidates for admission into the Kaduna Polytechnic Evening and Weekend (Fridays & Saturdays) programmes for the 2017/2018 Academic Session. Candidates are to log unto Kaduna Polytechnic School Portal on https://kadpoly.dynatechportal.com/application/ . The portal for admission shall be closed on May 20th, 2018 11:59 PM. Ensure you have read through admission instructions carefully before completing this form. Clement 08095268320 or Ralph 08095268326.